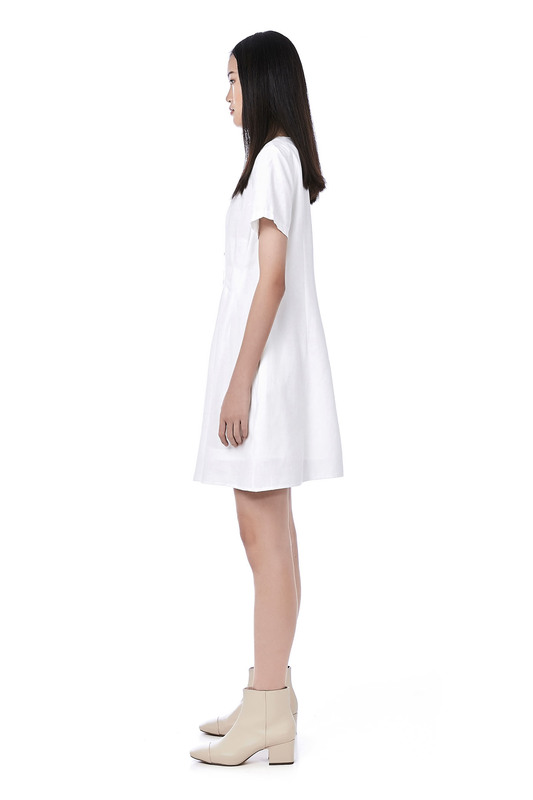 This short-sleeved dress is made from woven polyester. 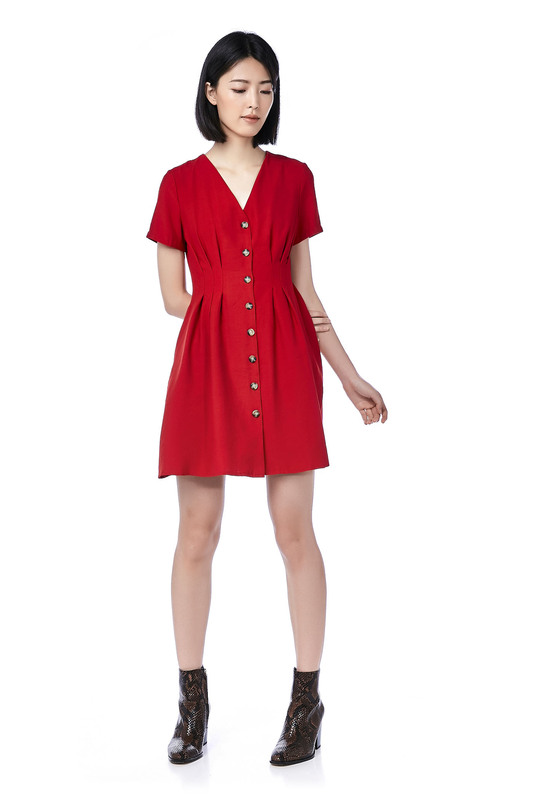 It has a v-neckline featuring tucked seams at waist and oversized button fastening on the front. LENGTH 34" 35" 35.5" 36"